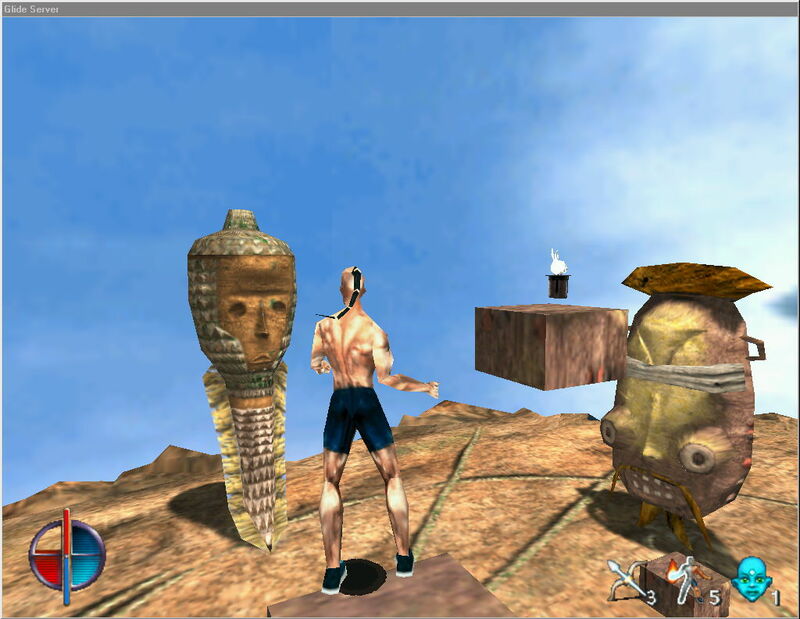 High quality graphics for the original Tombraider, including the "Temple of the cat" and "Unfinished Business" levels. 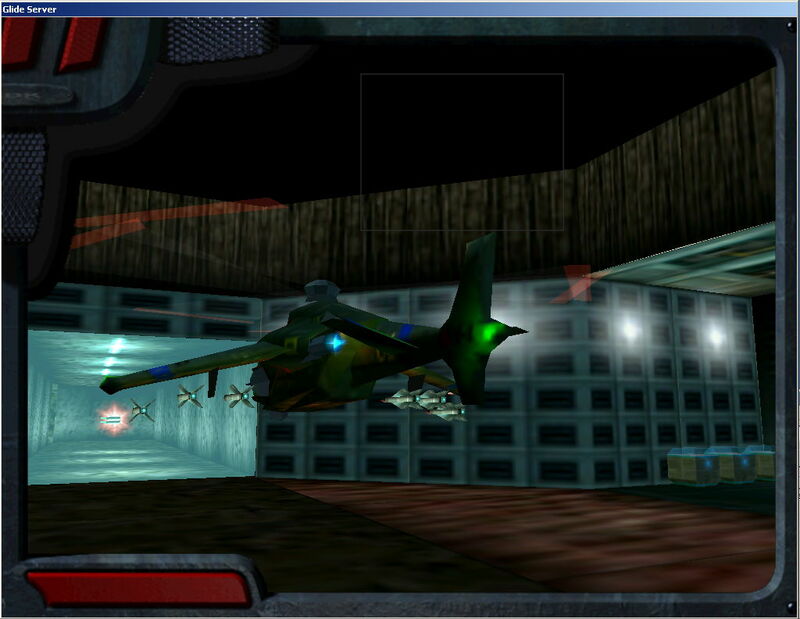 Supports TRX high-quality textures - much higher resolution than the original game (see Tomb Raider Xtra). 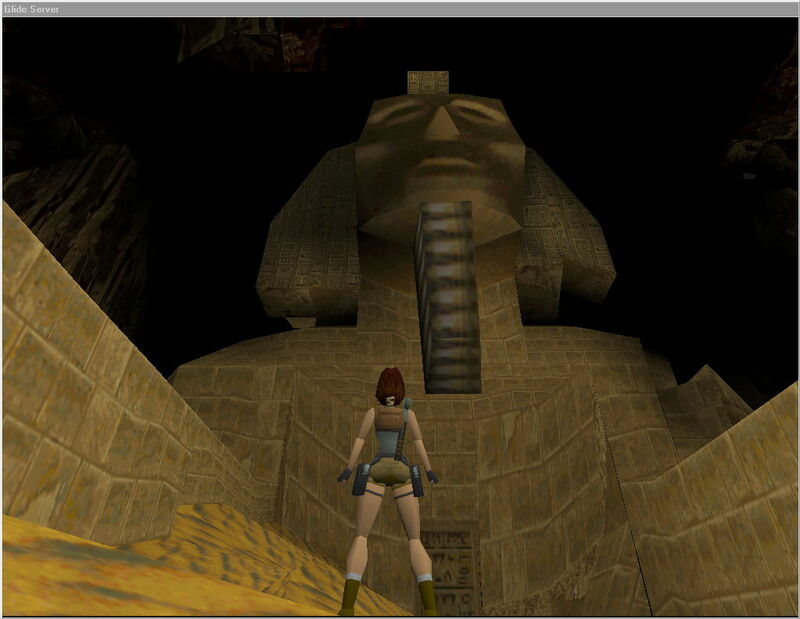 Until the development of Glidos, there had been no way for the original Tombraider game to make use of modern graphics cards. 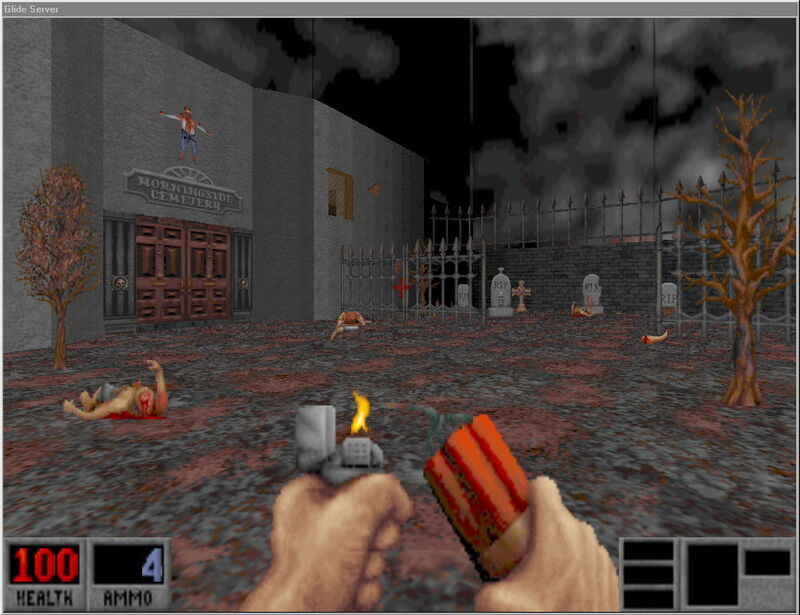 Glidos is the first program to provide Glide emulation for DOS, and allow games like Tombraider to show their full detail on modern computers. Download the demo now and see Tombraider as never before. 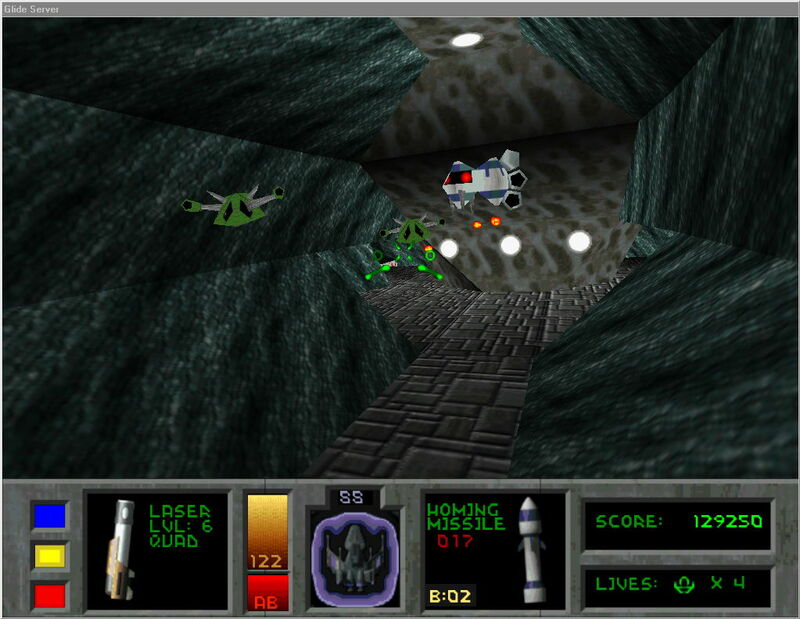 Glidos also supports Descent II. Months of work has finally paid off, and now the same detail and clarity that Glidos brings to Tombraider is also available for Descent II. To quote Do_Checkor from http://descentforum.de: "why walk when I can run? why run when I can drive? why drive when I can fly? why just fly when I can descent?" 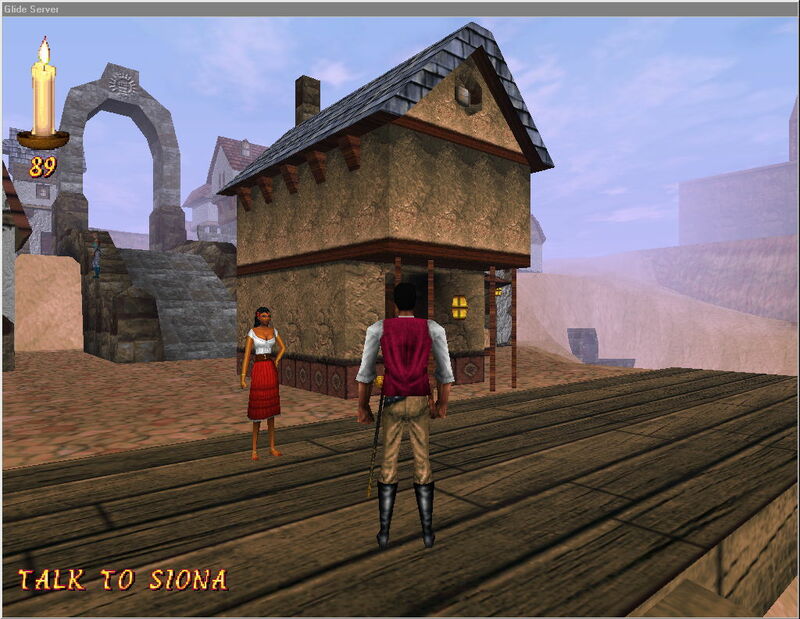 Redguard, from the Elder Scrolls series, is now fully supported under Glidos. This game shows itself as being graphically the most rich and detailed of the Glidos games. It is difficult to believe this game dates from the old DOS era. This game is a rich experience, with many chalenging puzzles. 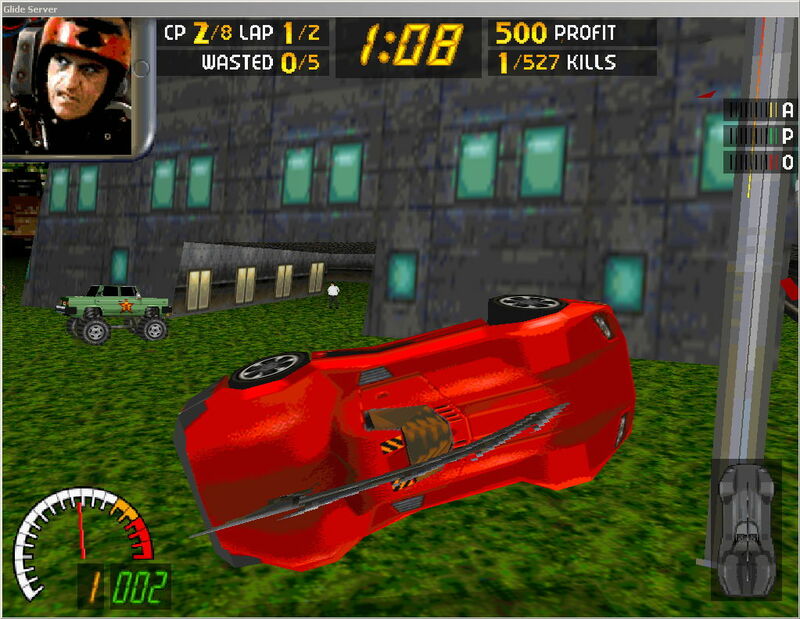 One more to add to the list: Carmageddon now works through Glidos. This game is said to be for the "Chemically Imbalanced"; don't worry that you may not be suited to this game: I believe that playing it causes the imbalance. What can I say, high quality carnage simulation. Extreme Assault is a very pretty looking helicopter simulation. There's a downloadable demo which gives you several levels to play against the clock. Not sure that the full game is available to buy any longer, but the demo is well worth a look. 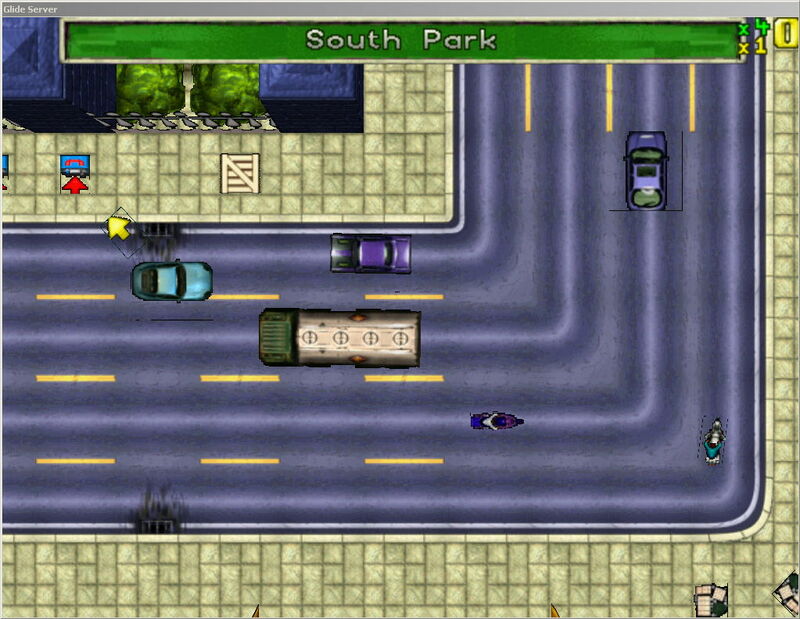 Grand Theft Auto: the orignal of the very popular series of games. It is interesting to see the origin of the modern episodes, like Vice City. Dreams to Reality: this is a strange one; very pretty graphics and very strange. First half hour of game play is a bit simple, and some of the characters have silly voices, but it gets more and more interesting as you go one. I'm hooked. Not easy to find copies of this game to buy any more, which is a great pity. Blood: excellent first person shooter. A bit gory. Well, very gory. Hmmm, very very gory, but funny with it. There's a version on the web for download too. Blood required special programming in Glidos, which gives better results than on an actual voodoo card. With a voodoo card textures are smoothed only in one direction, whereas Glidos gives true bilinear interpolation. 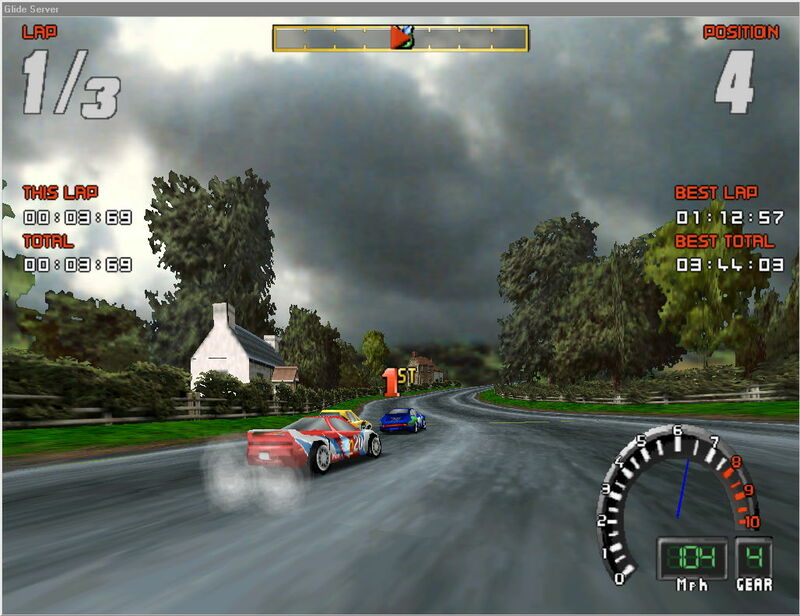 Screamer 2: lovely rally driving sim, with great graphics. Its another case where I've been really surprised with the quality achieved back in the days of Glide. Nice little touches like realistic reflections in the car windows. Most importantly the simulation seems very accurate.